The term biostimulation contains some methods that can activate the physiological processes of the epidermis, with excellent results on the facial contour and skin texture. Panestetic devices for biostimulation, in particular, are equipped with a 855 nm light beam which creates an acceleration of cellular metabolism. These beneficial effects help maintain a fresh, young and healthy skin thanks to a general oxygenation of the tissues. 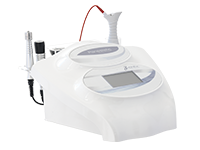 The Panestetic biostimulation machines therefore, allow the skin to be restored to its original compactness and are suitable for professional beauty centers and clinics that want to give their patients maximum satisfaction. Fill out the contact form for more information. Our team will be able to advise you at best and answer your questions.